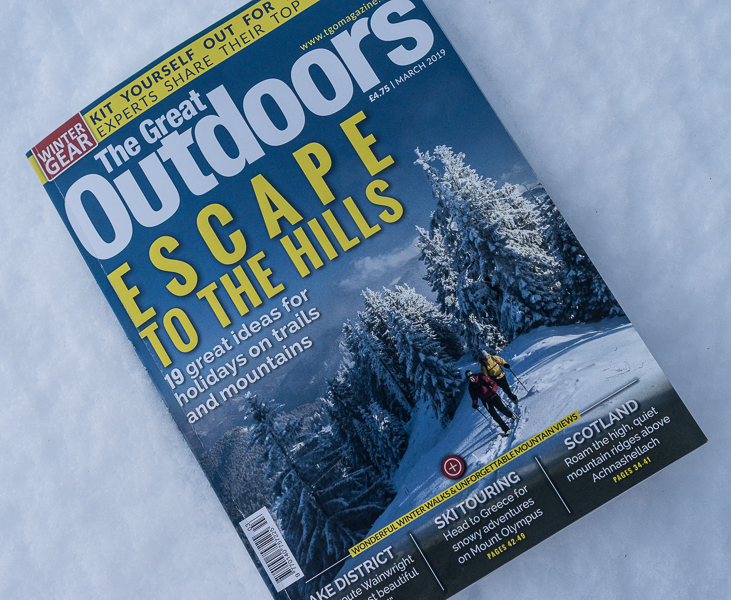 The latest issue of The Great Outdoors is in the shops now. 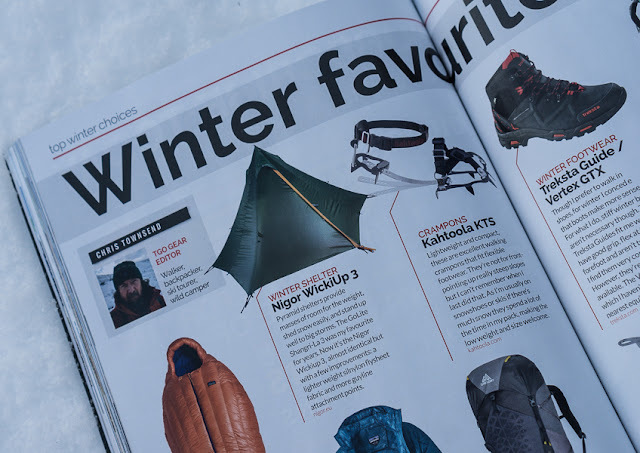 I've contributed to a piece on favourite gear for winter along with Judy Armstrong, David Lintern, and Alex Roddie. I also review ten of the latest headlamps. Unsurprisingly several features have a winter feel. Stefan Durkacz describes an interesting snowy backpacking trip to the remote hills south of Achnashellach. Conditions were perfect and David Lintern captures the splendour of the areas in his photos illustrating the piece. David Lintern also writes about a winter navigation course in really challenging conditions in the Cairngorms, also illustrated with his dramatic photos - it takes great skill and commitment to get good pictures in such weather. A frozen Pendle Hill is climbed by Jim Perrin for his Mountain Portrait page and he also looks at the history of this famous hill. Further south Rich Bunce recalls venturing out in Wharfedale during 'the Beast from the East' storm last winter while in the Lake District James Deboo has a winter packraft trip on Ullswater. Much, much further south Judy Armstrong praises ski touring in Greece, not a country I'd ever thought of for that before. Judy makes it sound very appealing. Away from snowy stories Richard Baynes visits the new Kingshouse Hotel at the head of Glencoe, TGO Challenge co-ordinators Sue Oxley and Ali Ogden celebrate the bonds forged on the event, and Roger Smith looks at the proliferation of small hydro schemes in Scotland.